Do You Lose Weight When You Sweat? Is Water Aerobics a Good Workout? 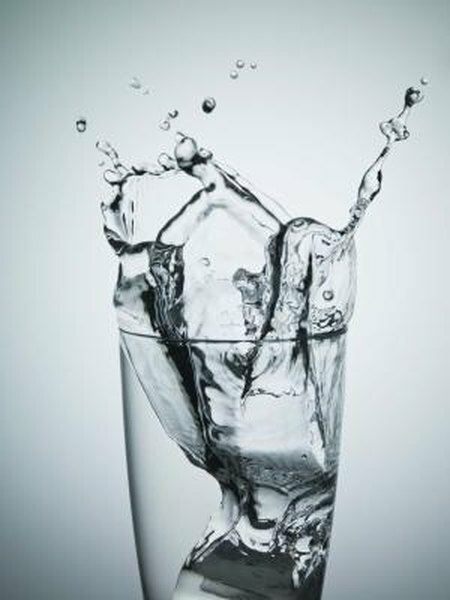 Since water is calorie-free and there is so much of it already in our bodies, it may seem as if it can’t make a great difference in weight-loss efforts. However, it actually has the capacity to play an instrumental role in improving your health as well as helping you slim down. Every time you take a drink of water, the liquid goes to work in performing vital functions that keep all of your body’s systems running smoothly. Drinking water regularly keeps an optimally moist environment for your tissues, removes toxins from your organs, carries nutrients to cells that need them and contributes to boosting your energy level. In addition, having water before meals might spur you to eat fewer net calories because it tricks your body into thinking it is full. In a 2010 study, Virginia Tech nutrition professor and researcher Brenda Davy led a team that studied the relationship between weight loss and drinking water before meals. In a large group of obese and overweight participants, some drank two cups of water on an empty stomach before meals; the others had no water but followed the same low-calorie diet. After 12 weeks, the water drinkers had lost almost 30 percent more weight and were eating between 75 and 90 fewer calories per meal. Davy’s study points to a resounding yes in the question of whether drinking water on an empty stomach can lead to weight loss. However, no one is sure why that seems to be the case. Davy notes that water may act as an appetite suppressant, since it fills the stomach despite containing no calories. Melina Jampolis, physician nutrition specialist for CNN.com, suggests that the strategy might work because the body sometimes confuses hunger and thirst and could be satisfied by the water instead of by food. Jampolis also points out that water keeps you hydrated, and even a slight presence of dehydration can cause a notable drop in metabolic rate. As the National Institutes of Health states, the only proven way to lose weight is to consistently burn more calories than you consume. Since water doesn’t add to your daily calorie count, it’s a smart way to potentially avoid overeating, but it’s not a guaranteed weight loss strategy; you must actually eat less or move more to slim down. Additionally, Davy’s study does not indicate that drinking water during meals can lead to weight loss as well. Before you make any significant changes to your diet or start a weight-loss plan, speak with your physician. Do Energy Drinks Make You Lose Weight? Are Diet Sodas Good For a Low-Carb Diet? Will Drinking Water Help You to Lose Belly Fat?